Read the Jeep Patriot 4x4 (2007 - 2009) car review by Auto Trader's motoring experts, covering price, specification, running costs, practicality, safety and how it drives. 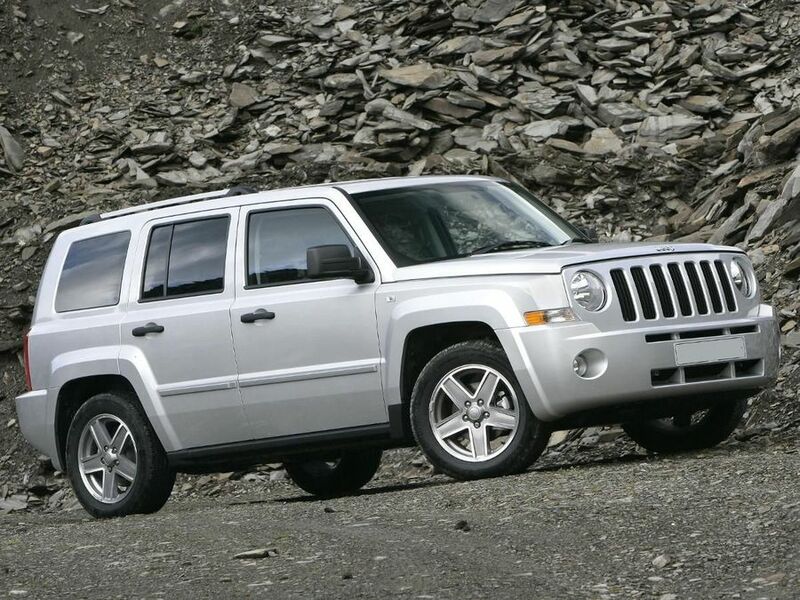 The Jeep Patriot is capable off-road and surprisingly capable on it as well. Although competitively priced and well-equipped, the Patriot doesn’t major on practicality. Interested in buying a Jeep Patriot? There’s no mistaking who makes the Jeep Patriot. Remove all the badges and you’d still be able to guess instantly that this comes from America’s premier 4×4 builder, thanks to the bluff nose with its classic seven-bar grille and those chunky wheelarches. The square-cut lines work well, but they’d work even better if it didn’t look as though the suspension has failed. Having so little ground clearance no doubt helps reduce body roll as well as fuel consumption, but the Patriot’s stance looks a little awkward. This is an area where Jeep has consistently failed to do well and the Patriot is no exception. Functional design meets lots of flimsy, cheap-looking plastics that give the cabin a distinctly low-rent feel. It’s not as woeful as some of Jeep’s earlier attempts, but compared with something like a Mazda CX-7 or Hyundai ix35 it’s already looking rather dated. While there’s no shortage of headroom for anyone, and legroom is generally fine too, this is best viewed as a four-seater. That’s because the large transmission tunnel that runs down the car restricts leg room for anyone sitting in the middle of the rear seat. Also, while the seats are comfortable enough and reasonably supportive, the steering wheel adjusts for height only and not reach. The driver’s seat is height-adjustable. Even with the back seats tipped forward the load bay of the Jeep Patriot can take just 1,277 litres. Keep the seats in place and there’s a 536 litre capacity. That isn’t particularly impressive, especially when you consider aVolkswagen Golf Estate has the equivalent figures are 1,495 and 505 litres, while the Kia Ceed SW’s numbers are 1,664 and 534 litres, respectively. While the Jeep Patriot looks heavy, suggesting that it’s also heavy to drive, it’s actually a lot more fleet of foot than you’d expect. The suspension soaks up all but the worst bumps, ensuring there’s a good level of ride comfort the majority of the time. Despite its high centre of gravity, the Patriot also handles pretty well. Again, appearances can be deceptive and you need to approach the Jeep with an open mind because you’ll be pleasantly surprised by how well it tackles corners. Jeep recently replaced its 2-litre diesel engine with a 2.2-litre unit that’s cleaner, more efficient, more powerful and also packs more pulling power. It’s also smoother and more refined, so it’s a big improvement all round. It comes with a six-speed manual gearbox only. Opt for this engine and you’ve got 161bhp at your disposal along with 236lb/ft of pulling power. That’s enough to give a 125mph top speed and 0-62mph in 9.7 seconds. There’s also a 2.4-litre petrol engine available, which produces 168bhp and 162lb/ft of pulling power. The only reason to choose this engine is if you want an automatic gearbox, as this unit can be specified with a continuously variable transmission (CVT) or a five-speed manual gearbox. Opt for the latter and the top speed is 114mph with a 10-7-second 0-62mph time. Buy the CVT and these figures are 115mph and 11.3 seconds respectively. Buy a petrol Jeep Patriot and it’ll lose its value at a greater rate than an equivalent diesel edition. Petrol-powered SUVs can prove unsellable without a seriously low price tag attached, so think carefully before buying a Patriot 2.4. Stick with the petrol option and 33.2mpg is possible, with CO2 emissions of 196g/km (or 210g/km with the CVT automatic gearbox). Go for the diesel instead and you’ll be able to average 42.8mpg officially, with CO2 emissions of 172g/km. Things are helped by a part-time four-wheel drive system. In normal running, only the front wheels are driven, but if these start to lose grip, power is automatically sent to the rear wheels to keep the car moving. Jeep doesn’t have a great reputation for building glitch-free cars. While most Patriot owners seem to be generally happy with their cars, problems do crop up such as weak gearboxes and driveshafts. Electricals items can play up too, especially things like windows, parking sensors, mirrors and lights. This is a disappointing area for the Jeep Patriot, because it doesn’t have as much safety kit as many rivals, and it hasn’t been crash tested by Euro NCAP so it doesn’t have a safety rating. First the good news. All Jeep Patriots come with electronic stability programme as standard, along with brake assist, multi-stage airbags for the driver and passenger and curtain airbags. However, only range-topping Overland models come with side airbags for those in the front, or a tyre pressure monitoring system. Jeep tends to pack its cars with standard kit. There are four trim levels offered: Sport, Sport+, Limited and Overland, with entry-level cars featuring 17-inch alloy wheels, air-con, hill start assist (on manual cars only), electric windows front and rear plus a four-speaker CD/tuner. Move up through the range and Jeep adds cruise control, electric seats, multi-function steering wheel plus heated front seats. The range-topping Overland also gets leather trim, climate control, 18-inch alloys, rear parking sensors and a nine-speaker premium sound system. Low purchase prices, good ability on the road plus great ability off it along with lots of standard equipment make the Jeep Patriot an enticing proposition.